Last month my Stenhouse editors Philippa Stratton and Toby Gordon took a welcome break from their Maine winter to visit Houston at the start of our spring season! They visited classrooms at Askew Elementary where I’ve been working all year in preparation for filming a video on math work stations in grades 1 and 2 next fall. It was fun watching stations in action, and my editors got their first glance at seeing a Smart Board being used by students, too! After our visit, they had a chance to dine outdoors before heading back to the airport (and the freezing Northeast!). Their visit was a treat for us all! 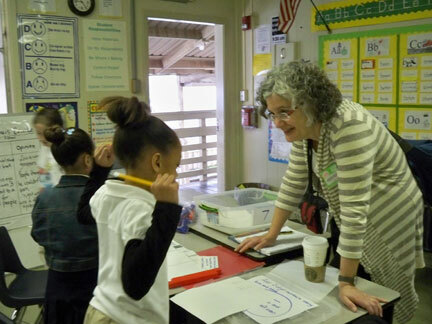 My math editor, Toby, talks with a pair of 2nd graders at a math station about their work. 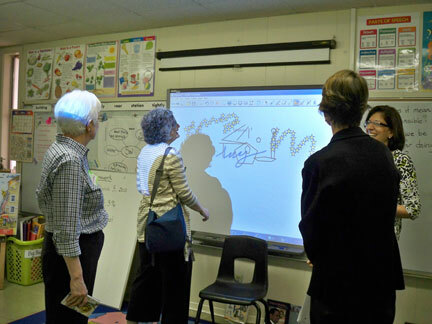 My editors, Philippa and Toby check out the Smart Board in Asma's 2nd grade classroom along with Rebecca, our producer. 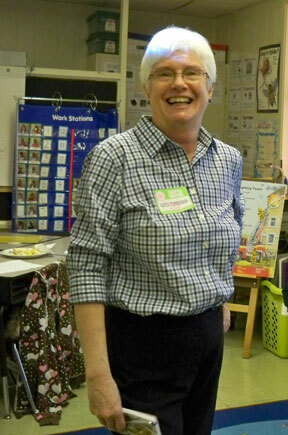 Philippa, Editorial Director at Stenhouse Publishers, enjoys visiting the classrooms where I am working. Do you have a Smart Board station? A kindergarten teacher at Irby in Alachua, FL used her Smart Board in whole group to teach her kids to manipulate sight words to make meaningful sentences. They took turns touching and moving high frequency words and pictures to write and read sentences. They loved it! 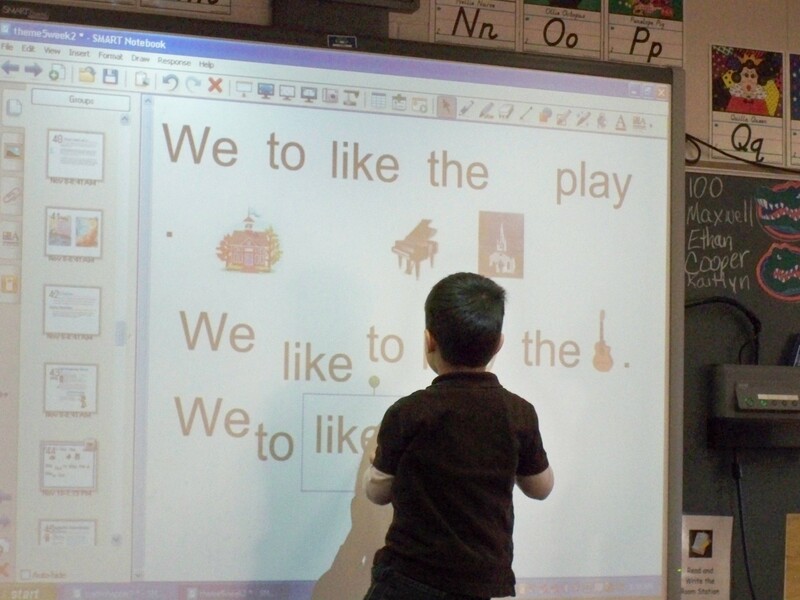 A kindergarten child makes sentences using sight words on a Smart Board as part of whole group. This can also be done at a Smart Board station independently.